Trek to Permandal, Humpet, Kanital. Sightseeing tour of the Kantial Valley. Trekking to Donara via Boktol Pass. 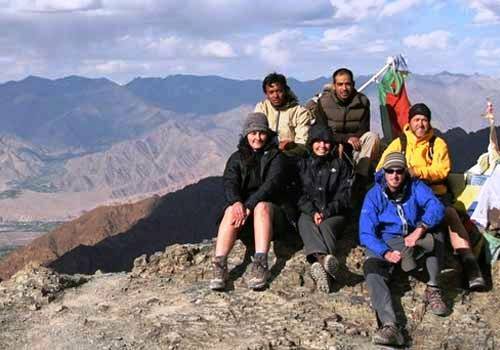 If you are an adventurous soul, then go for Ladakh Trekking Tour. 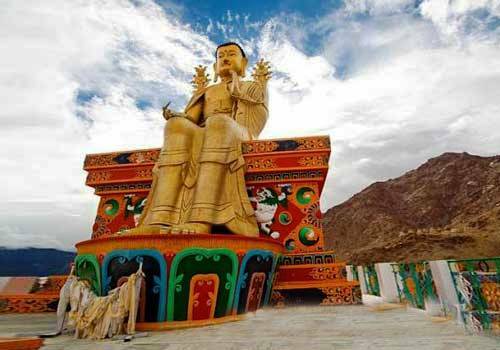 Ladakh, also known as the “Land of High Passes” provides you with opportunities to carry adventurous activities. 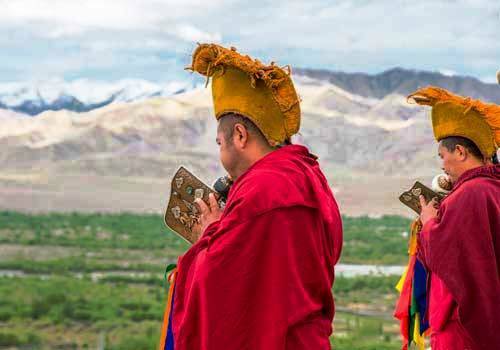 People from all across the globe visit Ladakh getting attracted to the opportunities of mountaineering, trekking, biking, rafting, camping, etc. 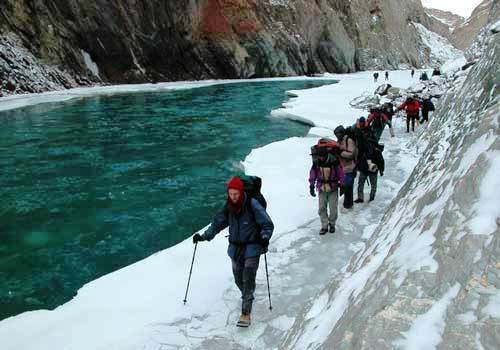 Your trekking tour in Ladakh will begin from Pahalgam, which is a perfect point for hiking, trekking and fishing. 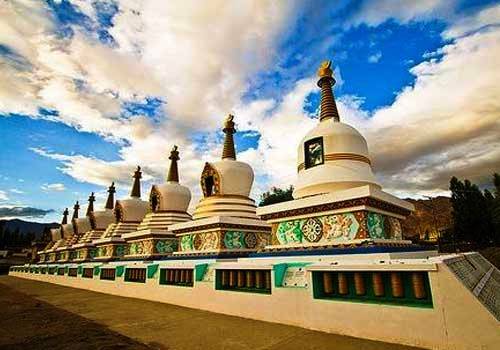 You will trek to Sheshnag, Humpet and donara. 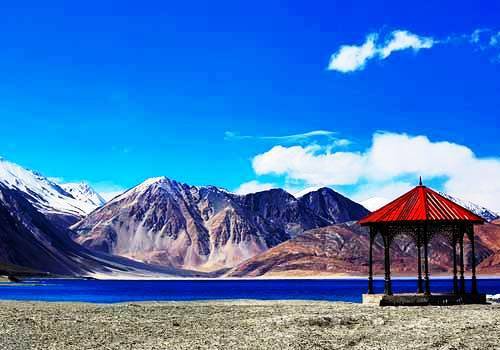 During your trekking tour to Ladakh, your eyes will get treated through the natural beauty, sparkling water and alpine forests. 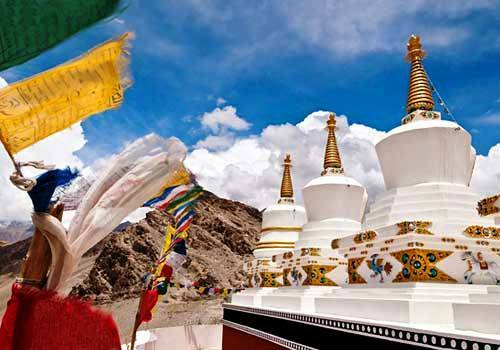 Our exclusive Ladakh Trekking Tour package of 8 days is distinctively designed that offers you the experience you never had before. Trekking from Pahalgam to Sheshnag following the first two stages of trekking to Amarnath Cave. Pahalgam - Pahalgam is the jewel of the Liddar valley of Jammu and Kashmir in the high Himalayas. Famous as the starting point of Amarnath pilgrimage, it provides excellent opportunities for hiking, trekking and fishing. 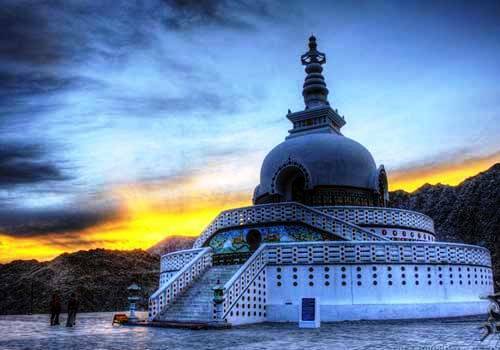 At an altitude of 2130 m above sea level, has verdant natural beauty with sparkling waters of River Liddar, snow covered mountains and lush greenery. It is the Asia's only saffron growing area. One can opt for horse riding through its delightful walks and watch the breathtaking views of the alpine forests of the Himalayas. It also offers angling and trout fishing in Liddar river. Virgin pine forests, clear mountain streams and wild flower meadows make it ideal for trekking. Trekking to Permandal via Gul Gali. Trekking from Humpet To Kanital. 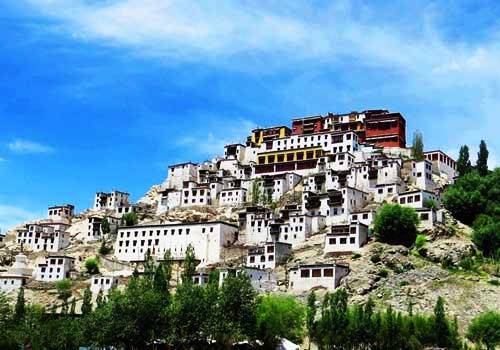 Optional continue trekking to Heniskot, Lamayuru or Zanskar region via Karji-La or Parachik to Rangdum.